The most important book in world today? Pierre Bourdieu had the most acute critical analysis of neoliberalism, even to the point that he sensed neoliberalists' greatest trick is to make the nation state and the politicians appear powerless with regard to controlling and spending a nation's finances (unless it is for the military, banks and finance). But he did not have the intellectual grip on the monetary system allowing him to destroy neoliberalism completely. 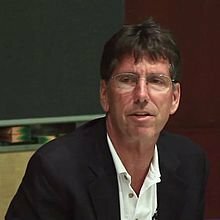 Warren Mosler & MMT do. "Politicians are ripping out the backbone of our civilisation. [Bec. of Neoliberal Ideology] Because debt. Because insolvency. Because inflation. Because Phillips curve. Because “the government is like a household +has to balance its books”. 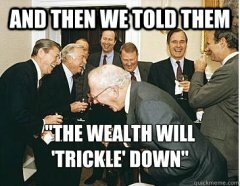 Politicians do destructive things, because you [the economic profession] gave them permission. 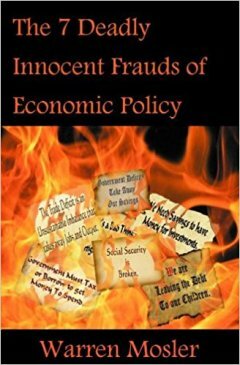 Then we discover the work of Warren Mosler, Bill Mitchell, L. Randall Wray, Stephanie Kelton, Pavlina Tcherneva, Steven Hail... Economists who are actually bothered about changing public consciousness around economics. “In some ways all MMT is doing is describing the real world. Neo-classical theory is telling you about a fantasy planet. A progr. for destroying collective structures which may impede the pure market logic. “What is MMT? - The factual explanation of fiat money that destroys neoliberal dogmas and opens up for political choices to rebuild collective structures. “One cannot win the Nobel Prize in Economics, if one understands the Economy. “95% of all declared 'progressives' are effectively operating in a neoliberal space. MMT Scholarship_2013 New Econ P.
Rethinking The Market, Warvick Uni.